Transformers Universe, the free 3rd-person MOBA (Multiplayer Online Battle Arena) game, is proud to announce it’s going in to Open Beta and available to all gamers beginning this Independence Day (July 4) weekend. 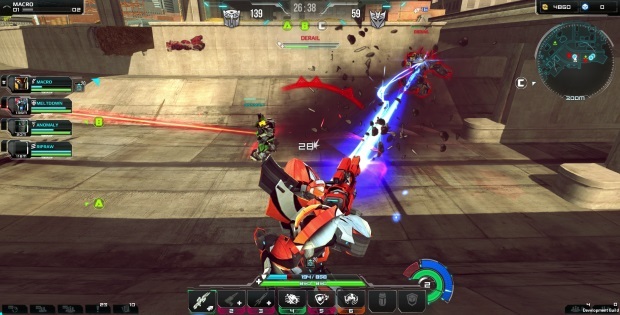 Going in to Open Beta now means players can simply register and instantly jump straight into the action as a Transformers Universe Commander. This weekend Jagex will be celebrating this fantastic milestone with a double XP weekend, a 24-hour live Twitch stream (11am EDT July 5 – 11am EDT July 6) and $75,000 in prizes to be won over this weekend. Now is your time to take control of an ever expanding squad of all-new Transformers warriors in heated battles of skill across multiple maps and game modes. 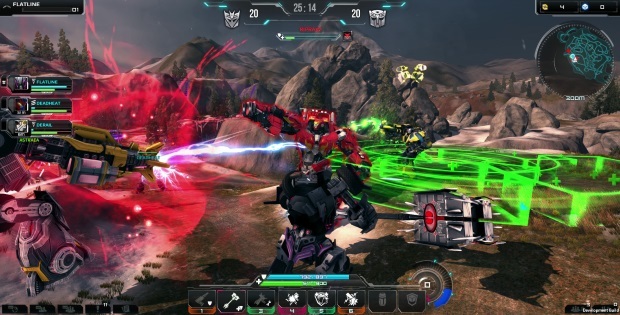 With a range of customization available in the form of weapons, armour and powercores, each one of these unique Transformers warriors can be modified to match your playing style. The new update will be packed with new features, game modes, heroes and other improvements.